On the 4th Thursday of November, families in the United States celebrate the special day of Thanksgiving and gather to enjoy a nice drink, feast on turkey and other delicious meals, and even watch football. This is one of the most special occasions in the country and is celebrated to give thanks for the blessings of the harvest and the previous year. Do you have an idea on how the tradition of Thanksgiving started? Here are some interesting facts for you to share with your children! The very first Thanksgiving of the United States happened in 1621 at Plymouth and lasted for three days. This feast was celebrated by fifty pilgrims and ninety Wampanoag Indians; it is believed that only five women were present here since a lot of female settlers failed to survive the difficult first year in the country. On the first Thanksgiving celebration, there was no turkey on the menu; the first feast was made of chestnuts, dried fruit, fish, geese, lobster, oysters, venison and more. Pumpkin was probably included in their meals, but no pumpkin pie was present unlike in celebrations today. As for the modern Thanksgiving, dinners include turkey, clam, cranberries, plums, pumpkin pie, and other food that were included on the first feast such as dried fruit, lobsters, and venison. Thanksgiving was never a national holiday until over two hundred fifty years later. During the 1800s, the author of the classic “Mary Had a Little Lamb,” worked for seventeen years writing letters, convincing President Lincoln to make Thanksgiving a legal federal holiday. In 1863, it was proclaimed a holiday by President Lincoln. However, it went through changes in the date in 1939 until finally, in 1941, the original date was again proclaimed as an official holiday by the Congress. Since Thanksgiving is a holiday for everyone, families can finally have some time to reunite and do things together. 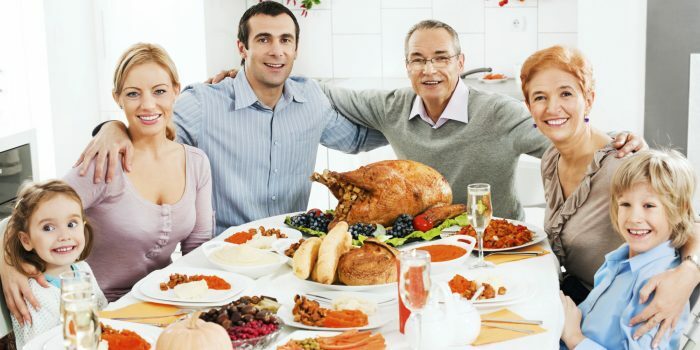 Aside from having dinner, one of the great ways to enjoy the holiday is to do fun activities together such as watching football which is a Thanksgiving tradition. Also, you can do other fun things like making crafts, watching movies, playing games, and solving puzzles, or you can simply play outdoors. The Original Copter is a great toy that the family can play with for a more fun evening on Thanksgiving Day. No forks were used on the first Thanksgiving celebration. Since forks were not commonly used during these times and were also not introduced to the Pilgrims until ten years after the feast, the people in the first celebration ate using only knives and spoons. The fork was not a standard utensil until the 18th century in Northern Europe and until the 19th century in North America. 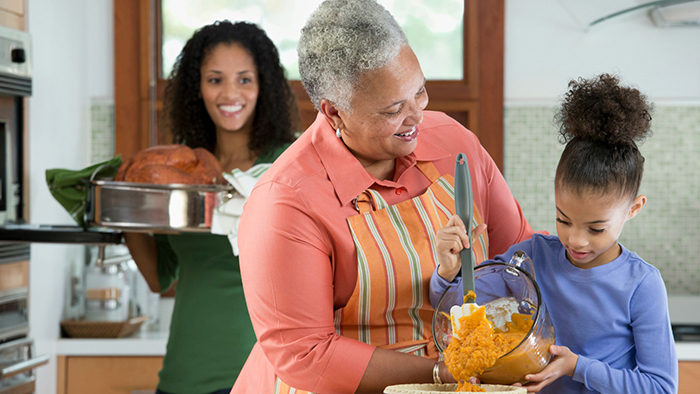 Today, Thanksgiving Day is more of a holiday for families to gather than a dinner celebration. Families feast on roast turkey which is everyone’s favorite during the occasion. On this day, Christians also participate in church services to pray and thank God for the blessings they have received for the year. For families who just want to enjoy the holiday while they are complete, one of the best things to do is to spend the night together and play outdoors with amazing toys from the Whistlecopter. The Original Copter is an amazingly durable toy that emits flashing LED lights and can fly up to two hundred feet when launched. Playing with this is something that both children and adults will surely enjoy. Thanksgiving is a great day to spend time with the family since it’s a holiday where everyone gathers and enjoys each other’s company. After dinner, one of the best things to do to go out together and have fun! 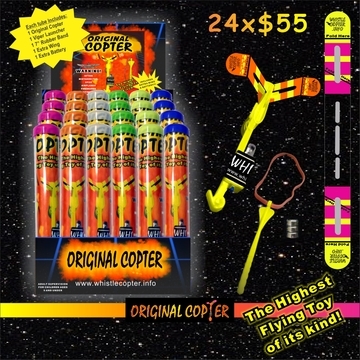 Launch your Original Copter toys in the night sky and see these light up beautifully in the sky like fireworks.